Have you seen VIZBOX yet? 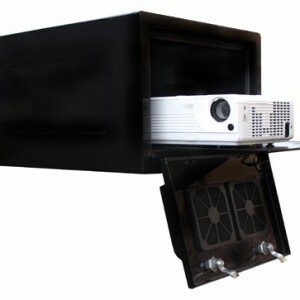 A very clever piece of kit, used outdoors to protect the projector inside it. Obviously it is IP rated and CE-marked, but also comes with high quality security locks. Projecting in the outdoors is an emerging market; ideal for advertising boards, backyard theatre, sports stadiums, churches. Even underground mining companies are investing! Visit the European website VIZBOX projector enclosures website for further information.